So the whole family was invited by Nanna, for lunch at Prezzo in Newcastle, one Saturday lunchtime. As there would be six of us, she had booked ahead to ensure we would get a table. Even an EDL march, anti-fascist demonstration and a slight detour to see the Great North Snowdogs, couldn't prevent us from trying out this restaurant for the first time. I'd eaten at Strada a few times in the past, but not since it had changed. 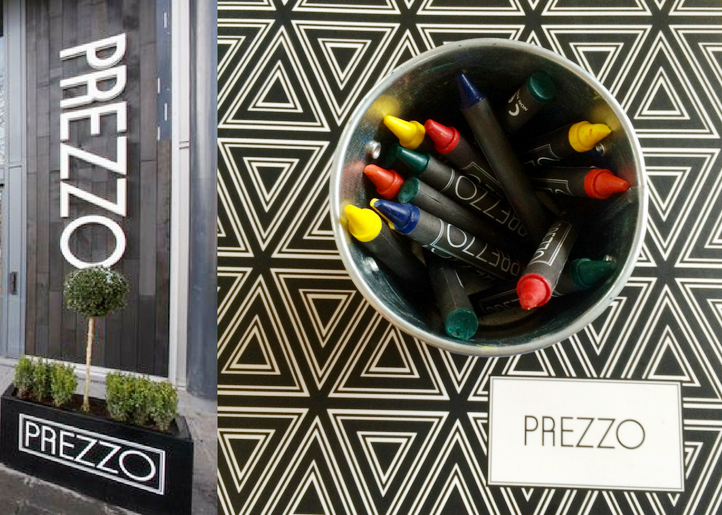 Offering Italian cuisine in a restaurant split over two floors with views over Old Eldon Square, it became Prezzo in 2014 and the menu when we looked online was definitely tasty. The menu is comprehensive. It offers a good choice of alcoholic and soft drinks and the menu includes all the usual favourites including pizza, pasta, risotto, grills and salads. The layout hasn't changed but the decor has. It was glitzier and quite snazzy yet on closer inspection there was a lot of dust on the mirrored lamps on the tables, which the boys had started writing their names in. The table had been reserved, not upstairs as we'd been told when booking, but downstairs in a booth, the booths are lovely but a little squashed with little 'elbow room' for six, even when two are young children. Have to say though looking back the signs weren't good when it took over 20 mins to have a drinks order taken, and when a waiter did arrive we took full advantage and ordered meals as well as drinks – a pint of Peroni, Latte, water, Squash and a Bambinoccino (frothy milk sprinkled with milk chocolate flakes. Served hot). The kid's menus are great. Fun and come with puzzles accompanied by two menus one for under 5s (£3.99) and 5-11yo (£6.59) for 3 courses and a drink. Can't complain at that. One puzzle was called ‘Where is my food?’ – ironically, at this stage we didn’t think it was going to be the story of the afternoon! For starters the boys chose garlic bread, one with and one without cheese - so they could share. The adults had Bruschetta with cherry tomatoes, basil, red onion, pesto and garlic on a baked flatbread; King Prawns in a Pomodoro sauce with garlic, red chilli and spinach, and served with toasted sourdough; and citrus and crab salad with sweet roquito chilli pearls, mixed leaves, cucumber, and a St. Clements citrus, chilli and mint dressing. All were really tasty. The bruschetta has more cherry tomatoes than I've ever seen on a starter, the sauce for the prawns had just the right amount of spice and the crispy crab even attracted the attention of the boys. Sadly it then took an age for the main to be brought to us. The boys behaved incredibly well under the circumstances. We even had to stack our own dishes in order to clear the table. The boys had ordered pizza with a different topping each so they could mix and match, one with pineapple and the other with pepperoni. However, they both arrived with pineapple. The waitress apologised for it being her fault and they took the pizza away added pepperoni and brought it back - so they ended up with a double topping pizza by default. No complaints from the boys - the pizza was a good size but easily demolished by the boys who had been playing football all morning. My main course was sea bass, it may have been a wait but it was worth it. Perfectly cooked it was accompanied by a delicious mix of cannellini, edamame, mung beans, peas, mange tout, cherry tomatoes and red onion in a mint butter with spinach, drizzled with pesto. And came with a side of salad, but I could have chosen fries or mashed potato. Other mains chosen by our party included Wild Mushroom VIP-izza - an extra-large based pizza topped with a selection of Shiitake, chestnut, oyster and button mushrooms, red onion, parsley, rocket, truffle infused oil, mozzarella and bella lodi cheese on a mushroom béchamel base, which was delicious. I'd have no problem choosing this myself if I do return. Our other meals were both the Chicken, Bacon and Avocado salad, served with cucumber, cherry tomatoes, croutons and mixed leaves in a honey mustard dressing. Again, crispy and tasty however one was ordered with a side of fries but they did not arrive. Even after chasing twice they still didn't appear. We ordered desserts and coffees whilst a member of staff was passing rather than waiting again, however, this also didn't go to plan. The boys ordered a fruit ice lolly and ice cream. One arrived before the other - a tip for restaurants if keeps kids far happier when their meals arrive at the same time! However, both were great and included real bits of fruit too. However, the White Peach & Amaretti Cheesecake that was ordered was then not available, another dessert chosen, then the staff offered the original choice with a different sauce, but then came back to say the only cheesecake available was a different one. (Yes, it was as chaotic as it sounds!) When the Honeycomb Smash Cheesecake, blended and topped with crunchy honeycomb pieces coated in chocolate finally arrived it was worth waiting for. Beautifully presented and delicious too. I ordered a latte which was fine, yet missing the Amaretti biscuit that my husbands had come with when he had his at the start of the meal. Another member of our party ordered an Americano with an extra shot and asked for cold milk on the side. It arrived cold, watery and without the milk. A replacement was offered, but again arrived without the milk, but on this occasion was rectified. We then asked for the bill. Considering the standard of service and the messing around over mains, coffee and dessert, I would have expected the manager to not charge for some items. But no, and the fries (that never arrived) finally made their appearance on the bill. It was definitely a case of not enough waiting staff, the food was cooked to perfection but the staff were inattentive, made mistakes and sadly were very slow. We spoke to three different members of staff in total, none of whom were rude but our complaints didn’t seem to be a surprise to them. I wondered if this was just a one-off bad day for the restaurant, however, a quick check on Trip Advisor and sadly it seems not. Yes, the food was lovely but there are so many good places to eat in Newcastle, with better customer service that it may be a while before we return. Boys Club Rating: The food was delicious but the service sadly left little to be desired. 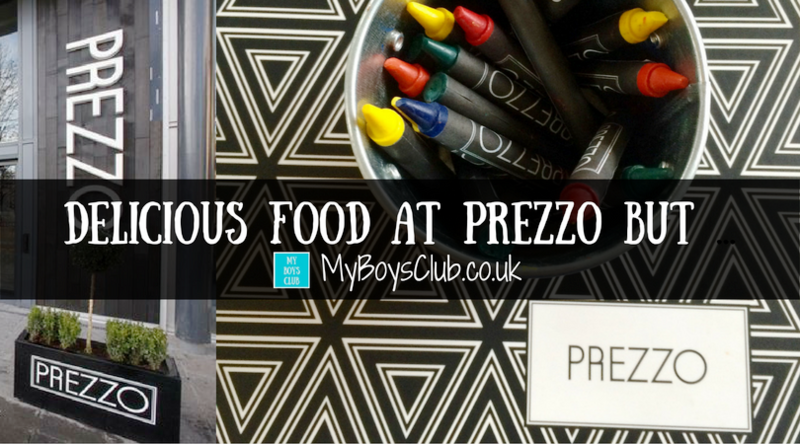 Have you been to Prezzo? Did you have a better experience? 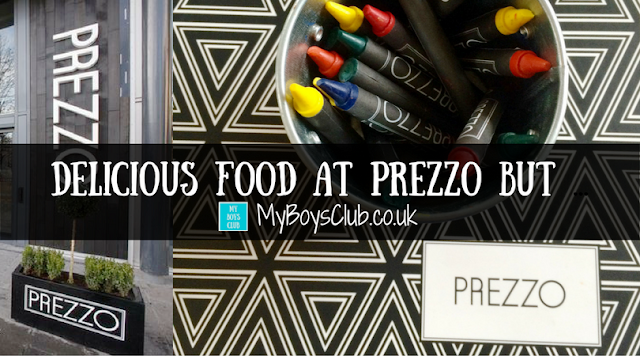 We have a Prezzo in Cramlington and I agree with you about the kids - fab value! To be honest my 10 yo sometimes orders from the under 5's menu as it is just the same portion size as the one for older kids - just with less choice. £3.99 for 3 courses and a drink is a steal! However I have to say we don't dine at Prezzo very often - I agree the service is slow (so it wasn't a one off at the Newcastle branch) but what really irritates me is that for me, the menu just isn't inspiring and it doesn't change regularly enough. There are plenty of other pizza/pasta places with much better menus I think. 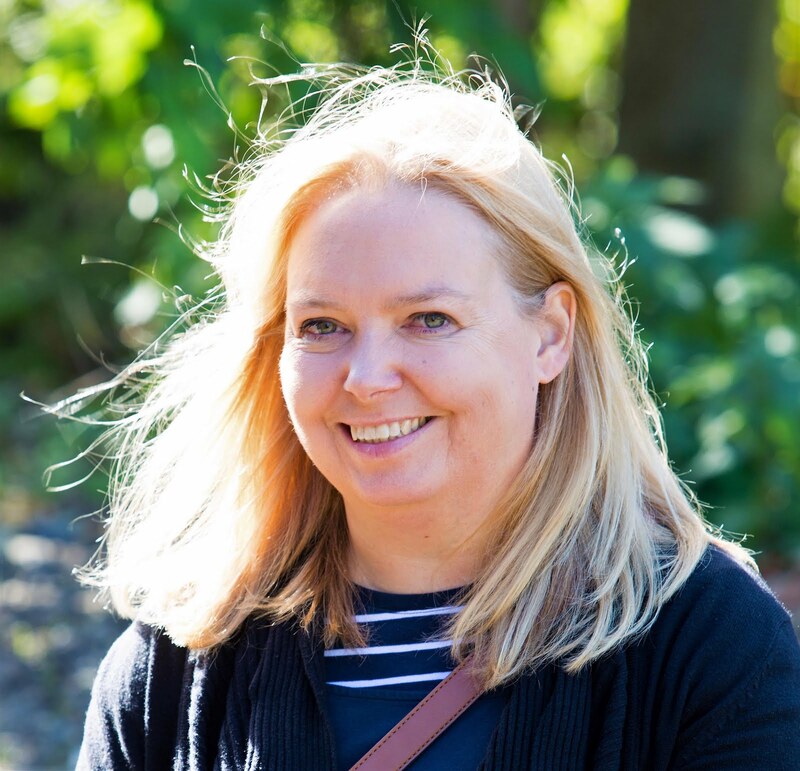 They do have some good offers at Prezzo though and that does occasionally tempt me back - such as free Prosecco on your birthday or BOGOF with a taste card. I can't fault the food it was delicious and lots of choice - as we'd not been before - but with so many other great places to try it may be while before we return. Reading their social media too it seems to be a long standing problem they have. A real shame. It all looks so delicious! But is do know what you mean in terms of lack of inspiration on the menu. I first dined there 12 years ago and was surprised to see that their menu has not changed much. Still lovely though! Hope you had fun!